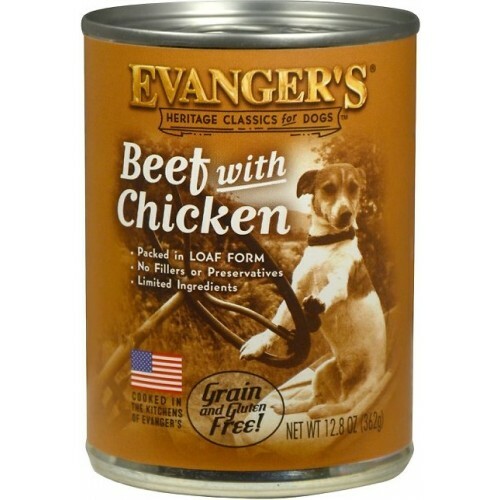 Evanger's Beef with Chicken is Grain-Free and Gluten-Free. Beef with Chicken is endorsed by the cRc Kosher for Passover. Beef, Whole Dressed Chicken, Chicken Broth, Guar Gum. 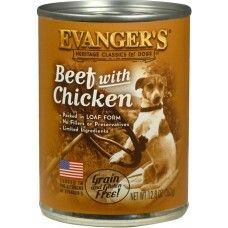 This quality product is intended for INTERMITTENT or SUPPLEMENTAL feeding only.